The Power Spot Q5 family has the possibility to mix RGB with Cool White and Amber to achieve extraordinarily beautiful solid colors. 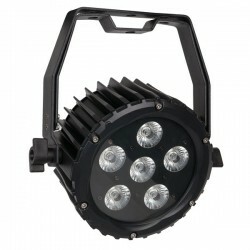 Because of the 5-in-1 technology and very high power of the individual LED's we can achieve a very high output with a minimum quantity of LED's. the big lenses on the front mix all colors perfectly without creating shades in the output. 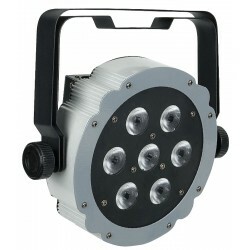 The rugged di-cast aluminium housing is specially designed for stages, disco, night clubs etc.